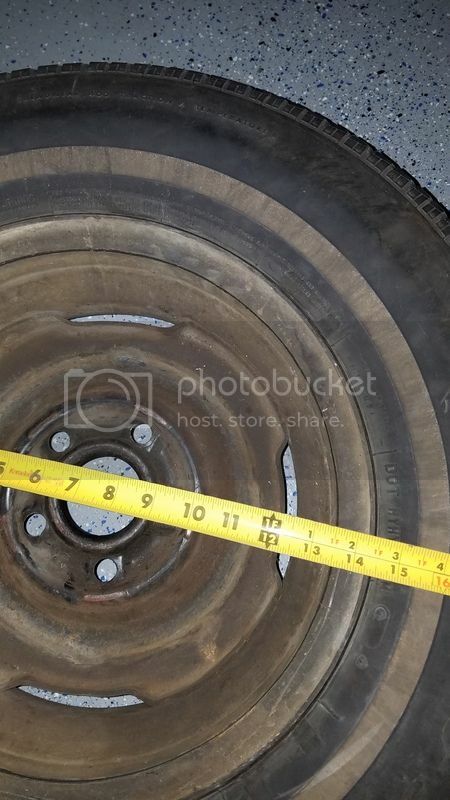 What is the inner diameter of Specialty Wheels 15" Magnum 500? I read somewhere that the inner diameter of some Magnum 500 were the same for 14" and 15" wheels. I've got original 14" steel wheels with hubcaps I'm going to replace and they rub my new CSRP disc brake upgrade hard line. I'm looking at the Coker tire Specialty wheels in 15x8 all around. I'll get you those measurements in a bit. I bought these from Coker tire a few months back, they are Specialty Wheels. Looks like they are around 14.5"
One more question, the balance weight does not restrict anything there does it? Let us know what shipping is to Texas from Coker tire. To California from them was $250 for four tires and wheels. Four tires without wheels was $120. I simply can not pay that. I could purchase 5 tires from Summit Racing or locally for the price of four plus shipping from Coker. 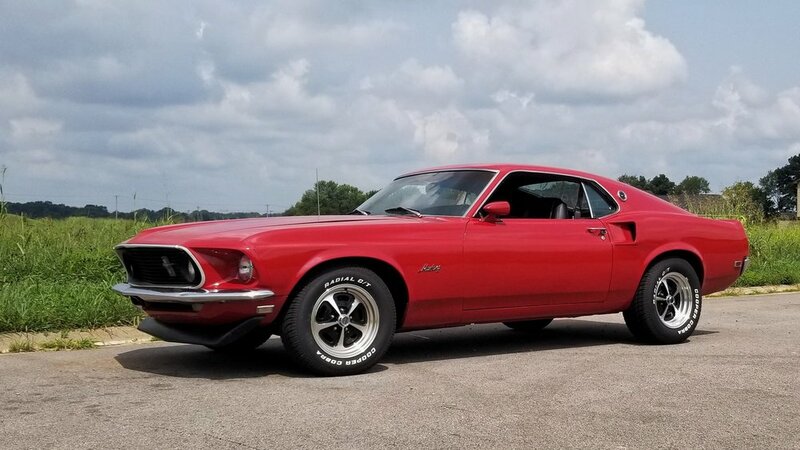 @1969_Mach1 Ended up ordering the wheels from Summit. They beat out CJPony price and delivery. The tires were ordered from Discount Tire Direct. 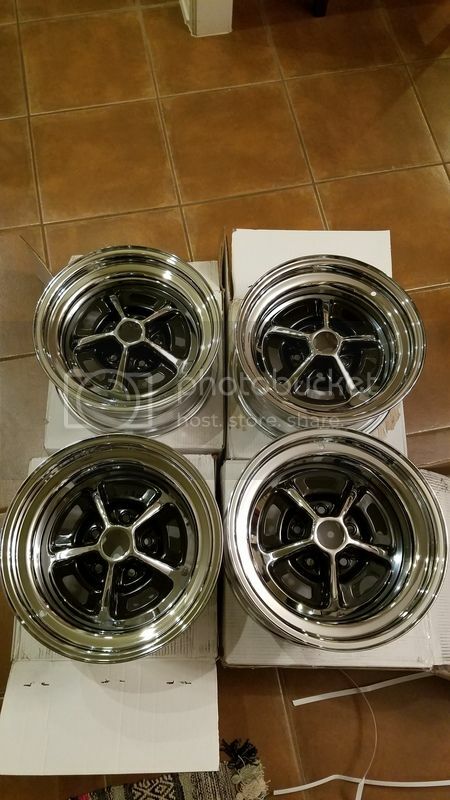 CJPony did have best price on center caps and lug nuts though. Getting new tires and wheels is always a really nice feel good time. Kinda like a new paint job to me. I can believe that for the wheels. Especially since Summit has a store and warehouse near you. I look and look when I need parts and almost always end up back at Summit Racing. I only go elsewhere on parts Summit doesn't carry. 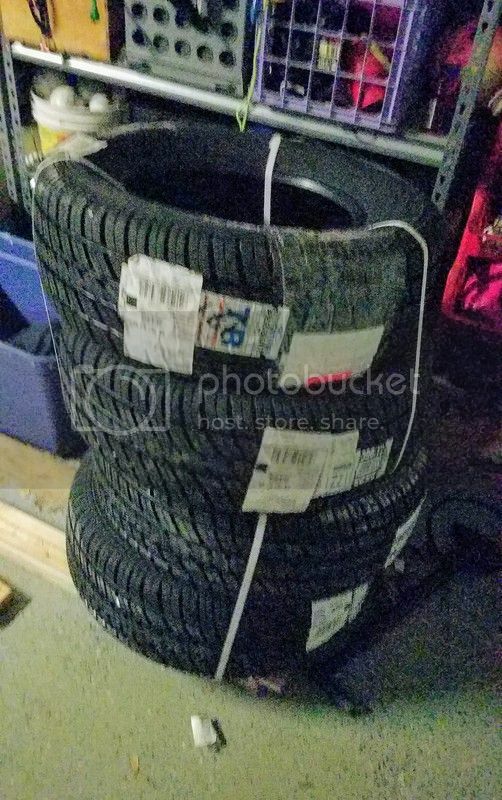 Tires are here! Wheels should be this weekend. I like that I can take them to the Discount tire without the car to get them mounted and balanced since the car need alignment, license and insurance still. I'll take old wheels to get tires off and disposed of. Right now it is just 4 tiress strapped together. They are black with white letters. Looking at pics today to decide RWL in or out. I lean towards out most of the time but sometimes this generation of car looks better with them out. I'll post pics when I have the wheels. Purdy! New tires and wheels sure change a car. Can't wait to see them on the car. Indeed it does! I love the Magnum 500 wheel!!! Car looks good. When I first got my car back in 76, it had the OEM chrome styled wheels. I longed for the Magnums back then but they were somewhat hard to find and very expensive. Eventually found me a set of 14" Magnums that I could afford back then. I think we got the same car!